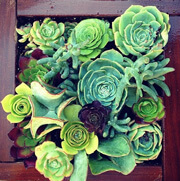 San Francisco Green Spaces is a licensed, full-service landscape design and construction company started in 2008 by Brad Goya. We work throughout the San Francisco Bay Area to create, install, and maintain interior and outdoor spaces. We pride ourselves on self-Sustainable, sensible, and stylish design and landscaping, superior construction, high quality and environmentally-friendly materials, enjoyable and communicative working relationships with our clients, and high knowledge of horticulture and the aesthetics of plants. We look forward to working with you to create a unique green space! Brad Goya, the Principal and lead licensed contractor, has always been passionate about nature and the environment. With design and landscaping, he seeks to provide people with comfortable, stylish, and yet ecologically beneficial outdoor spaces. Such spaces, “green” in multiple ways, allow his clients to engage and connect with the natural splendor we are so lucky to have in the San Francisco Bay Area, literally right in their own backyards! 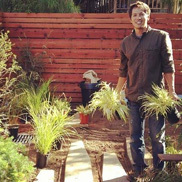 Brad has a bachelor’s degree in Conservation and Natural Resource Studies and a master’s degree in Urban Planning and Design – both from UC Berkeley. © 2016 San Francisco Green Spaces.